The track in question is D.K. 's Jungle Parkway. It's notoriously difficult; a mess of weird angles and tall grass. It's also the last track on Rustemeyer's list, as of today. Having historically struggled with the track's grassy areas and coconut barrages, the German speedrunner has been steadily improving, and overnight logged his best time yet: 2'12"14. Last week, that would have been good enough for him to tie the world record, but over the weekend rival speedrunner Daniel Burbank pushed the record out of Rustemeyer's reach with a time of 2'12"11. It's a minor setback for Rustemeyer, only three one-hundredths of a second. But Burbank is no slouch himself, currently ranked second overall on the Mario Kart 64 world record rankings page. "I still think I'll reach this big goal one day, maybe in the near future," Rustemyer told Kotaku in an email, referring to his quest to hold all individual track records at once. He joined the Mario Kart 64 players' website back in 2008. Three years later he had his first world record. By March of 2013, he had become number one, surpassing previous Mario Kart 64 legend Michael Jongerius in total individual track world records with 12 of 32, before going on that summer to edge his collection up to half. He replaced his old CRT TV with a less-old CRT TV that had less input lag (classic games aren't optimised for modern LCD displays) and went on to defeat Jongerius in-person in the final of a time-trial tournament at the first Mario Kart 64 Euro Meet in August 2013. "I attacked many of the remaining WRs and already had 29/32 at the end of the year," said Rustemeyer. "That dominance sparked the thought of 32/32." Mario Kart 64 speedrunning (as opposed to its multiplayer racing scene, although there's lots of overlap) is split into several categories. Some people focusing on finishing Grands Prix, but the most prestigious categories are individual, no-shortcut time trials. Of these, each track is split into best time overall and best lap time. Despite Rustemeyer's meteoric rise through a scene that's existed for decades (Mario Kart 64 originally came out in 1997), a sweep of all 32 prized world records has so far eluded even him. Rustemeyer started May in control of 31 of the 32 total categories. On May 1, however, speedrunner Zoran Tintor took the best final lap time away from him, a world record which previously had sat with Rustemeyer since October of 2015, with a time of 0'42"24, just two hundredths of a second better. With both Tintor and Burbank nipping at his heels, Rustemeyer has his work cut out for him, especially as other players began to attempt to unseat him on other tracks. This effort, branded the "Anti-1.000 Alliance" by Tintor a couple years ago on the Mario Kart 64 forums, seeks to prevent Rustemeyer from getting a 1.000 rating on the Mario Kart 64 world rankings page. In addition to Tintor and Burbank, there's also Beck Abney, one of the game's other most storied speedrunners, as well as a slate of single-track specialists looking to reclaim their titles back from before Rustemeyer bested each of them one-by-one. William Lacey, who falls into the latter camp, held the Jungle Parkway world record for all but a few days between August 2001 and August 2014, and more recently momentarily regained earlier this year before Burbank once again pushed ahead. 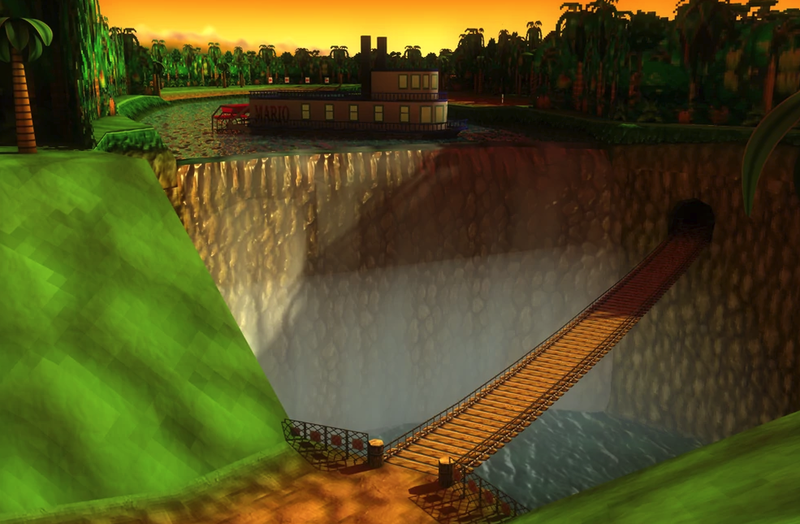 "Matthias is on the short list for the most intensely competitive and determined person I've ever met," said Mark Jones, an early pioneer of Mario Kart 64 speedrunning who now focuses more tournament competitions. He also owns and helps maintain the Mario Kart Players' database and world rankings. "For another perspective into Matthias Rustemeyer's dedication and what it has taken to reach this level, he has kept an active monthly PR (Personal Record) streak alive from January 2008 to the present," said Jones. "That means he has played the game and achieved a new personal record time for 125 straight months." He speculates that it would take an outsider over 2,000 hours of practice on a single course at this point to be able to reasonably challenge one of Rustemeyer's existing records. The biggest roadblock for Rustemeyer remains D.K. 's Jungle Parkway. 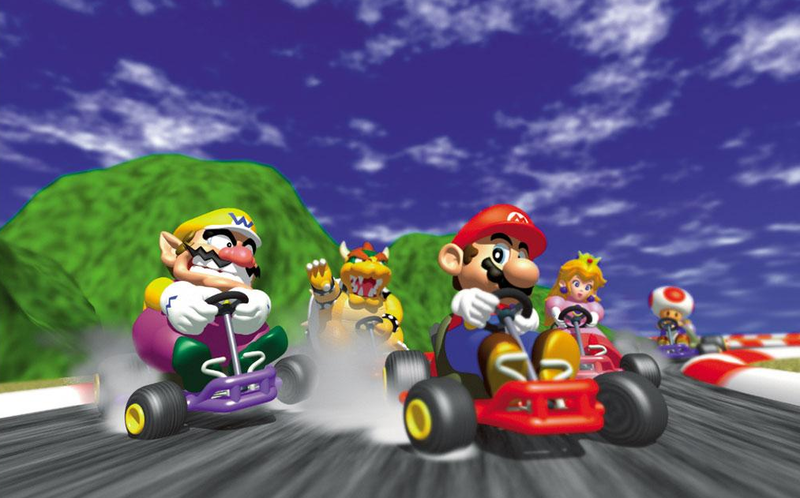 The Mario Kart 64 player likes to meticulously review his replay footage, which is made possible by the "ghosts" the game produces of your previous time trial runs. But on Jungle Parkway, getting hit by a coconut glitches the game and cancels its ghost save data for that course, making it harder for Rustemeyer to improve. There are other challenges as well, including a ramp jump that needs to be perfectly timed to save maximum time and a fastest route that requires players to drive on the edge of a slope. Those challenges don't play to Rustemeyer's strengths as a drifter, since they can't be overcome by carefully sliding your kart around corners and building up speed boosts across long, flat stretches of a course. And then there's the issue of nerves. "Many people think that I don't have them," said Rustemeyer. While this isn't the first time he's struggled on a particular track, the promise of reaching the coveted 32 out of 32 world records has made Jungle Parkway that much more difficult for him to master. He's still not sure exactly what achieving that unprecedented milestone would mean for him, but until it happens, he's trying to stay as focused on attacking each new threat to his world record sweep in isolation and as rationally as possible. While he's doing that, it seems like a safe bet that other Mario Kart 64 speedrunners will be fighting him every step of the way. Oh man, let the guy have a clean run at it. What an awesome article about a ridiculously good player. I wonder what controllers they use? N64 Controller Sticks were famously gravelly after a while, particularly if they were used to play Mario Party 1, and I'm sure this would affect their lap times. Emulated versions don't count for records. You have two options for controllers, the Hori Mini, or a Raphnet Gamecube to N64 adaptor (letting you use Gamecube pads). The raphnet adaptors are all low latency, so still competitive in chasing records. The competitiveness is awesome but geez, when your building an alliance to stop somebody it comes off a little jelly. To be fair to the other racers some are trying to get records back that he has taken from them like it says in the article. Yeah that's just competition, but if your making an alliance and joining with others against one person, it comes off a little petty. It's the difference between personal accomplishment and personal vendetta. Yeah it is a bit petty but how awesome would it be if he could beat all of these records with all the other record setters trying to undermine him. It would make the victory even more sweet. Going up against all the odds and coming out victorious and maybe even records that cannot be beaten for ages. If it's a title worth having it's a title worth fighting for. That's one way of looking at it, but the speedrunning community is generally very high in camaraderie so it is more likely friendly competition, not something derived by jealousy.